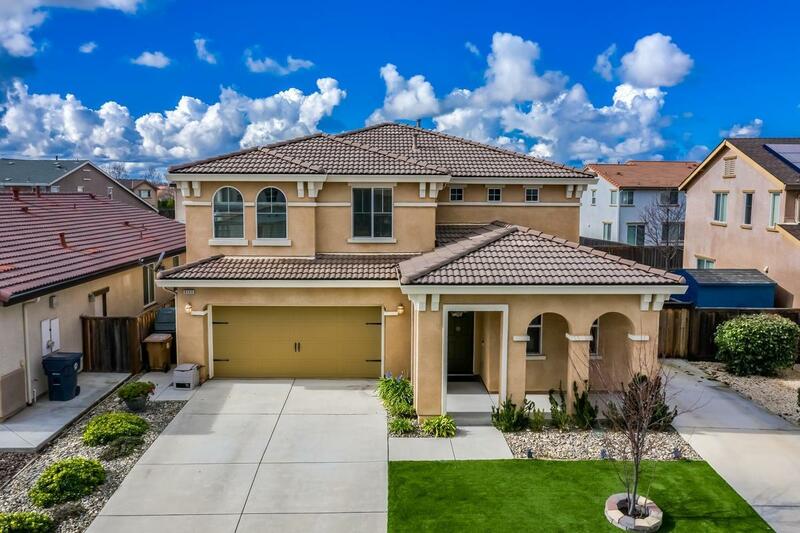 Beautiful and spacious home in Elk Grove located near 3 top rated schools (Zehnder Ranch Elementary, Pinkerton Middle, and Consumnes Oaks High). Close to shopping, parks, restaurants, Trader Joes, Nugget Market, Costco, and future aquatics center. This roomy 2, 400 sq ft home was built in 2010 and includes: 5 bedrooms, 3 full baths, downstairs bedroom and full bath, master suite with walk-in closet organizer, updated downstairs flooring, 2 inch window blinds, 2 car garage, RV access, turf grass front yard, movie theater room, office nook, and upstairs laundry. The backyard is an entertainer's delight featuring french patio doors leading to a solar heated pool with baja shelf and water feature, golf putting green, and covered patio.